Having started its activity more than 25 years ago, today Tander Corporation unites 16 companies offering all contemporary services in the field of sales, service, repair and restoration of light and heavy weight vehicles. The corporation employs over 400 people of any professional profile - auto mechanics, traders, economists, lawyers, etc. and in 2017 its consolidated annual income is approximately BGN 50,000,000. The Corporation is headquartered in the capital city of Bulgaria, and there are representations in Bulgaria – in the towns of Plovdiv, Varna, and Burgas, and abroad – Frankfurt am Mein, Germany and Bucharest, Romania. During the implementation of national projects the corporation have partners-subcontractors in the whole country. As of the moment, companies from the group have rights as official representations for the sale of three auto brands for the towns of Sofia and Burgas – Opel, Great Wall, and Suzuki. It is offered passenger cars of all categories – from small city cars to SUVs and pickups, as well as the light weight range of Opel. Generous Auto has rights to sell and service electric vehicles Opel. In Sofia, the corporation manages four modern service facilities and three showrooms with excellent territorial coverage – South region on Bulgaria Blvd. and in Boyana Housing Estate; East and North region on Tsvetan Lazarov Blvd. in Druzhba Housing Estate. Besides general repairs in all facilities, it is also offered auto body restoration services – tinsmithing and painting. The group is a major partner of the most leading insurance companies in Bulgaria, and over the years it has proven the correctness and quality of its services, thanks to which it has kept its leadership positions. In the town of Burgas, the Corporation has the most contemporary service facility and showroom in the region strategically located in the industrial area at the entrance of the city. The future investment intentions include building of modern service facilities in the towns of Plovdiv and Stara Zagora, for which terrains are already purchased. Tander Corporation is a direct importer of genuine OEM auto spare parts and alternatives. Deliveries are regular – several times weekly. They are implemented by a number of Bulgarian suppliers. All fast-moving goods are kept in stock for achieving maximum service speed. Emergency Medical Centre in Sofia with a contract for maintenance and service of the autopark. 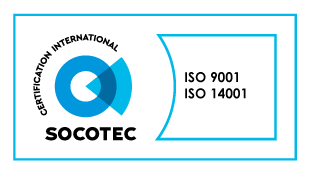 ISO 9001:2015 Implemented quality management system. This gives us the opportunity to participate in all open procedures under the Public Procurement Act in the field of vehicles. In 2014, the Group expanded its activity by developing provision of operational leasing. For one year it has been built a portfolio of over 100 premium vehicles at the amount of BGN 10,000,000 rented for a long term to fleet customers, and the activity was supported by leading leasing companies in Bulgaria. The major priority of the corporation is absolute correctness toward the partners, and over the years, despite the unseen by duration economic crisis, it has not been allowed delayed payments toward the country, financial institutions, or suppliers. This makes us a preferred partner and gives us an access right to significant resources if large-scale deals are to be executed, including with deferred payments such as operational leasing and rents. In 2015, Tander Corporation was trusted by the only Bulgarian automobile manufacturer - Litex Motors. Besides an official dealer for the town of Burgas, Tander is already a major dealer and service partner for the town of Sofia, and Litex Motors has provided all its functions related to the sales and after-sales service to the Corporation. Tander Corporation is a financially stable organization with experience of many years in the field of vehicles in Bulgaria, the largest and contemporary necessary equipment in the capital city, established service traditions for both retail and flееt customers, a preferred partner for suppliers, insurance companies, financial institutions and all serviced by us customers.